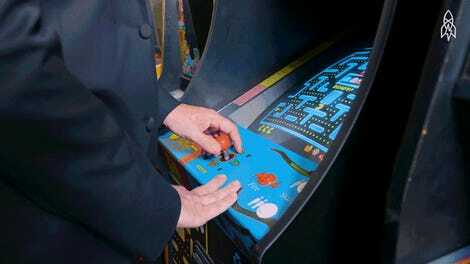 There was a time when playing video games with your friends meant visiting your local arcade and crowding around a Pac-Man or Galaga machine. Those days are long gone, but for around $30 a pop, you can relive some of that nostalgia and build your own tiny arcade with these highly-detailed miniature replicas. Let’s get the bad news out of the way first: none of these tiny arcade machines are playable. 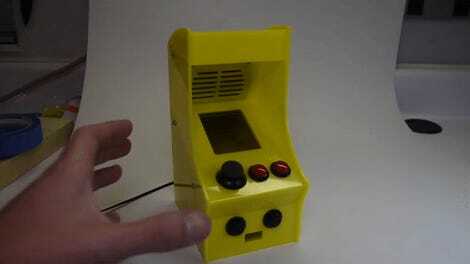 If that’s what you’re looking for, then head on over to Adafruit’s website and build yourself this miniature working arcade instead. But if you’re after perfect replicas of the arcade machines you grew up playing, you’re not going to find anything more accurate than these. Recreated using the original schematics and cabinet artwork, everything on these miniature arcade machines—the buttons, the joysticks, the coin slots—should be just like the versions you played as a kid, minus the sticky spilled soda. And at 1/12th scale, roughly five-and-a-half-inches tall, they’re perfectly sized for your collectible figures to enjoy as well. Currently Pac-Man, Galaga, Tank Battalion, Galaxian, and Rally-X are available in miniature forms, but hopefully they’re popular enough for other classics to get the tiny treatment too. How awesome would a tiny version of After Burner on your desk be?